In late March 2018, Theresa May announced that the NHS would get a multi-year funding settlement and that it “could not wait” until the Autumn, setting it up nicely for a 70th Birthday release. That announcement was met with what can only be described as near-complete apathy and yet it quite possibly heralds a set of changes bigger than the Health & Social Care Act 2012, and with far more implications for individuals and services. It could also be political speak to create 5 months of relative quiet whilst Brexit is moved forwards (or sideways, or down the drain). But a seismic shift affects lives and careers, so you’d at least want to know, right? Perhaps the single biggest apathy-producing misunderstanding is that this is ‘just’ about a funding settlement and just how interesting are those? However, for those deepening their understanding, they will come to realise that you just can’t have the necessary level of settlement without addressing the necessity for a seismic shift in policy. What’s more, this is a seismic necessity that has been in the making for quite some time… and it’s not an accident. So, let me challenge you with a question by taking you all the way back to 2009-2010. If we assume that the funding settlement the NHS had back then was roughly right, what is the size of the TRUE funding gap created by the following conditions, collectively? (so we have inflation but no compensating increase, it’s actually a decrease)? Capital starvation, affecting renewals & maintenance, capital equipment etc? We have had our easily manipulatable brains orientated around a mystic gap – $20bn shortfall by 2020 (has a catchy ring to it, doesn’t it?). However, when you consider many of the above conditions, you realise they aren’t accounted for in that gap and some of those alone make the fantasy shortfall seem wildly optimistic e.g. working capital loans (a sub prime catastrophe in the making). So let’s think about what that means for a moment, and, if the hypothesised hypothecated healthcare tax comes into play, what that might have to be, depending on how you answered your question and based on 30m taxpayers. It’s important to remember that the equation doesn’t stand still. The population continues to grow and age. It’s also important to realise that the majority of tax payers are not very well paid. How do you feel about £3,300 from your position of a £100,000 a year earnings? Now consider that the 2017 estimate of median household disposable income for financial year ending (FYE) 2017 is just £27,200 (Office of National Statistics). Those households are NOT going to be contributing £3,300. This illustration serves one simple, singular purpose; no Government could lead that kind of tax rise and stand any chance of surviving in power and thus, a hypothecated tax settlement cannot fill the true gap. That leaves just two possibilities and one, very big question. So that question…. Just what is the magnitude of the true, underlying shortfall? Somebody knows but nobody knows. The travesty is that it can’t easily be shared by those that really know. We see calculations from The Health Foundation, The King’s Fund, The Public Accounts Committee, Office of BUdget Responsibility and more. None of them adequately deal with the true cost of addressing healthcare in the United Kingdom, going forward, and consequently, you are looking at policy decisions through politically-adjusted glasses. That certainly shapes thinking but it does not move it towards reality. If the gap was small, there would be an outcry for not simply filling it in the next budget. If the gap was gargantuan, there would be panic because it would call into question the very notion of our NHS. Politically, the gap has to sit in the middle… perhaps £20bn shortfall by 2020. The true figure is hugely subjective and based on a vast number of largely political choices too. Let’s look at just 4 scary components. In the decade to 2009/10, the NHS received an average real terms annual increase of 6.6% per annum. Since 2009/10, it has received an average of 2.0% per annum (heavily weighted by a single buoyant year too). 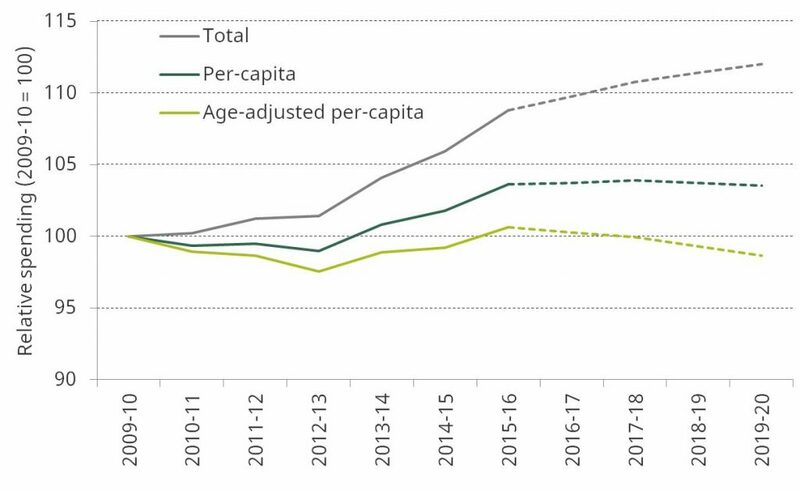 Unless we truly felt that the increases a decade ago were overly generous, it would be fair to conclude that the NHS approaching 2020 has been starved of 4.6% per annum, on average. So what is the effect of that? In 20010/11, the spending on health in billions was £100.4bn. At 6.6% per annum for the next decade, we should be spending £190bn and we are scheduled for a settlement of just £131bn (currently budgeted for 2020). So, that’s a shortfall of nearly $60bn BEFORE we think about loans, social care or our variance from other health nations. That’s a £60bn annual shortfall going forward from 2020 based on JUST austerity. Not a great start. We are discussing what is needed to fund healthcare going forward. So, by definition, a shortfall over the last decade leaves a hole in the finances that needs filling just to get us back to the surface. Efficiencies, cuts and reforms have reduced the size of the hole. What we are unsure of is exactly how much of the starvation has been eradicated. The aggregate effect of the austerity blow within the last decade amounts to £329bn (yes, you read that right). So, when Government talks about £20bn shortfall, they are aren’t discussing the starvation, it isn’t based on a projection of historical averages and it has no relationship to the amount of money the NHS has been starved of to this point. The NHS has been trying to cope with this through reforms and efficiencies and cuts. Without going into our woeful shortage of beds, even allowing for cuts and savings, we haven’t remotely addressed the shortfall. What we have done is grant NHS Trusts loans, more recently at 6% interest too, just to add to the woes. This debt that sits on books of our hospital trusts and is going to have to be repaid from somewhere. It is difficult to quantify but it is also growing at an alarming rate. At March 2017, loans amounted to £4.8bn excluding PFI, with working capital loans actually rising above PFI liabilities for the first time too. They increased £1.28bn in that year. Conservatively, we will have added another £1.5bn to £1.7bn this year and so the actual loan debt to add to our shortfall is likely to be in the region of £6.5bn. What this loan debt doesn’t account for is all of the projects, renewal, upgrade and transformation that have been shelved due to shortfalls. The Department of Health & Social Care is seeking a multi-year funding settlement to sort out the combined future needs of both healthcare and social care. Arguably, we are more deficient in the latter, with cross-Government discussion on the sheer lack of provision the population has for social care going forward. In ADULT SOCIAL CARE FUNDING – STATE OF THE NATION 2017, local government identifies a £5.8bn shortfall by 2020 (their equivalent of the NHS £20bn) and an immediate stablisation need for a further £1.3bn. So, that chalks up another £7.1bn without us going through the legacy impacts of austerity on a sector that has been savaged relatively, compared to the NHS. In the 2016/17 year, the UK spent £120.5bn on healthcare, around 7.3% of GDP. France and Germany each spent around 11% of GDP. We should celebrate. Our health system costs us 3.7% of GDP less than our most comparable neighbours. Or is it that we are under-funded by 3.7% of GDP? We run our system on less beds, doctors, nurses, A&E etc per capita compared to other systems. We run super-hot. We sweat our NHS asset. We are also assuming that France & Germany have properly funded systems when in fact they are also struggling. They may well be under-funded too. If we were to reset the balance back onto par with France & Germany, how much would it cost? We would have to go from £120.5bn to £181.6bn annually at 2016/17 levels – a £61bn shortfall. If you are still with me, you will realise that this figure is remarkably similar to the effect of austerity, almost identical in fact. What remains debatable is whether this is the same shortfall or an additional shortfall, given that in 2009/10 we spent 7.6% of GDP on healthcare, with France & Germany spending considerably more. The difference has been maintained over that time and increased since 2016/17, ironically. I want to reiterate that this excludes the austerity starvation effect i.e. the money that should have been in the NHS along the way, which is somewhere between the loan book (£6.5bn) and £329bn we haven’t had that arguably we needed. I have left out the loan book though, as this is a one-off figure, not an annual shortfall. So, £128bn extra, annually, JUST to escape austerity, fill in the social care gap and put us back in line with our neighbours. That’s ANNUALLY. The latter is my conclusion and it isn’t just based on either the money, or the 15 years I have spent analysing policy and policy-speak to understand what is happening. I believe that what we are getting has been communicated incessantly, in ways that are difficult to understand but clear when you know. It has been set up over years and I believe it is coming to a head for the NHS 70th Birthday. However, it isn’t about what I believe, that’s effectively what Theresa May has said. What’s more, I believe that this seismic change will indeed change the basis for healthcare forever and I firmly believe that EVERYBODY currently reliant on the NHS for a career needs to be ready, not playing catch up. So, want to know more? I have many individuals who rely on my Insights work to keep up-to-date, inform decision-making, develop strategy and more. 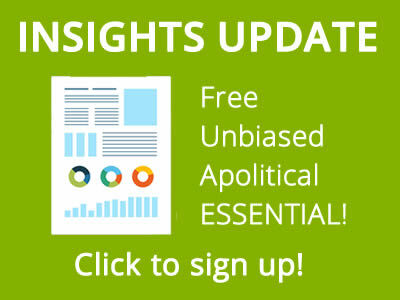 I am going to set this up as a broadcast, learning and strategic report service, completely free of charge, for any and all NHS professionals who want to subscribe to it. It should be released before the 70th Birthday (the NHS, not mine) and the next step will be a briefing paper on what I believe has been alluded to as that seismic shift. It will include some free CPD too, so it is a bit of a no-brainer. If you want to have access to it or be informed, please just provide me with permission and I’ll let you know when it is ready. The link below will take you to a Progressence Ltd page (which is simply where I am going to run the service from). It has a simple sign-up and is ONLY about this. The biggest implication of GDPR (which we wholly agree with, by the way) is that thousands are going to stop receiving things that they take for granted because they have NOT updated their permissions. 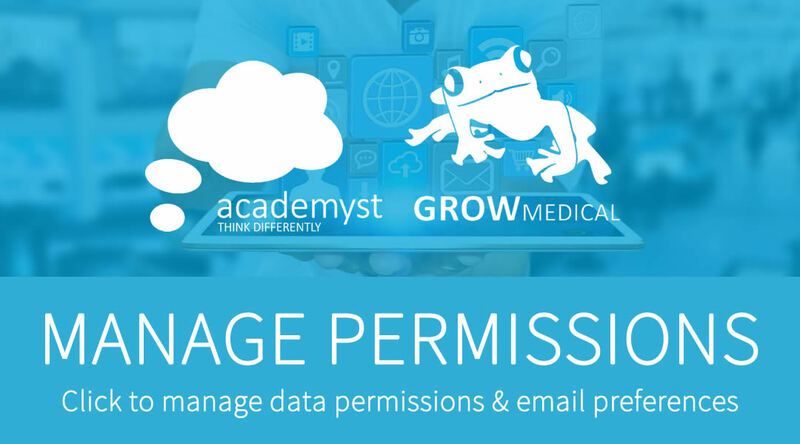 You can do your Academyst permissions in less than a minute using the link below, which allows you to hone down exactly what you do and don’t want to receive. Don’t miss out! We’ve not been great social media users because we’ve always done so much by email but we’re going to ensure all that we release is announced through our Facebook page. Please visit and follow (Like is obviously appreciated too, of course). Then please do share it by clicking on the icons below and adding it to your social media channels. Just to say – please don’t lose the power of your message by framing these views in overly adversarial language. You know the politicians will be all too ready to ignore any critical views they can feel able to dismiss as a rant! That’s a sensible message and I hadn’t realised I had (I thought ‘sceptical’ perhaps…). I will certainly run an ‘adversarial’ filter on the next one! A wise and common sense approach… I would add into it that the population should be presented with the possibilities, the funding implications and the preferred funding model, all in a neutral, comparable format. At the very least it would create an understanding of what healthcare really costs.